Meet Our Dentist, Dr. Lal Thanga DDS. 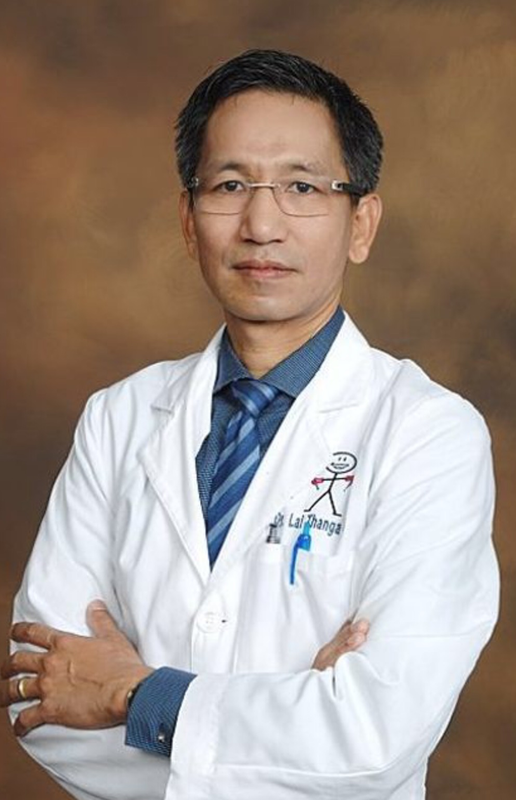 Dr. T graduated from the Institute of Dental Medicine in Rangoon, formal capital of Burma, now known as Myanmar in 1995. He went on to work as a journalist in Oslo, Norway for the Burma Democratic Revolution Radio (1998-2000) in support of Nobel Peace Laureate Aung San Suu Kyi, present State Counselor of Myanmar. He received his license to practice in the state of California in 2007 and further continued his education at the UCLA School of Dentistry Continuing Dental Education in 2011 for Implants A to Z.
Dr. T has worked throughout Riverside, San Bernardino and Los Angeles counties from small private owned offices to managing large company offices. He is a husband, a father, a classic rock n roll enthusiast who enjoys playing the electric guitar and singing.